First, this amazing vest from Monica's Closet Essentials is back for pre-order! I have to warn you, it's not tweed. It's just printed to look like tweed. The vest is a "cotton finish" so it's super soft and durable. I was worried about putting this vest on my Christmas list, due to it being "pre-order". I wasn't sure how long it would take to ship. However, it shipped quickly and arrived before Christmas. I would think if you ordered this vest today, it should be here within in a couple weeks. Which is quick for pre-order. Of course I'll link similar non-pre order vests. 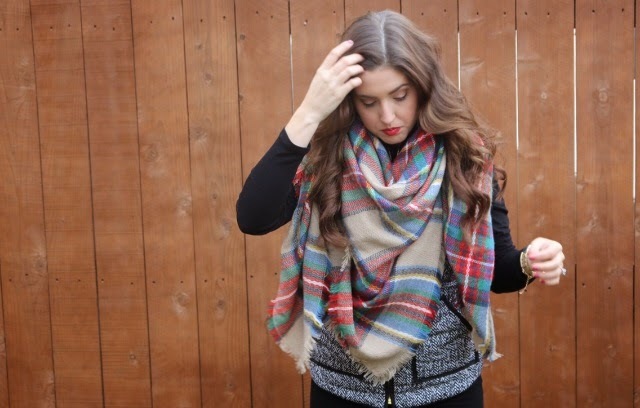 Now for the infamous "blanket scarf"... I LOVE THIS SCARF. Dramatic? Nope. It is that amazing. 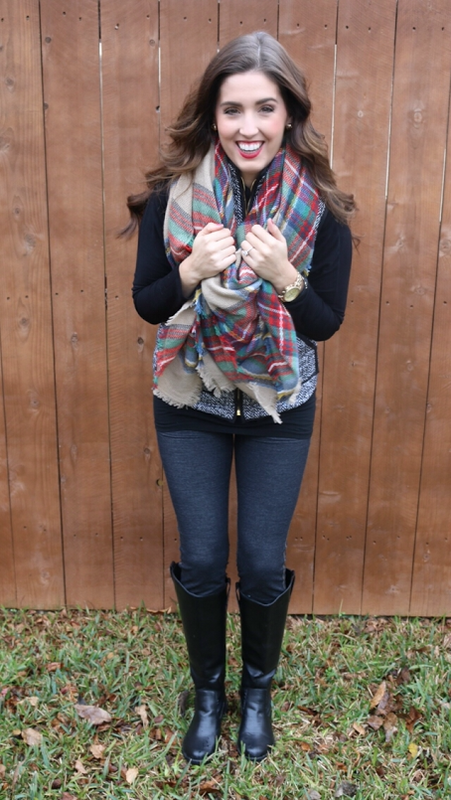 A lot of boutiques and stores are carrying these blanket scarfs. Of course I'll link a couple sites down below! I want to also warn you that these scarfs are large and in charge. If you're anything like me, this is a plus.. because that just means they're extra cozy! I just didn't want y'all to order this and be surprised when it arrived. As always, I'll link everything. I hope y'all are enjoying your week back from Christmas break! PS. I'm working on my December favorites. PSS. I promise my New Years will be spent putting together outfits for y'all, because you are my people! Just my luck, it started raining half way through shooting this..typical! Ha-Ha. My vest can be found Here. The J-Crew original puffer vest is on sale Here! 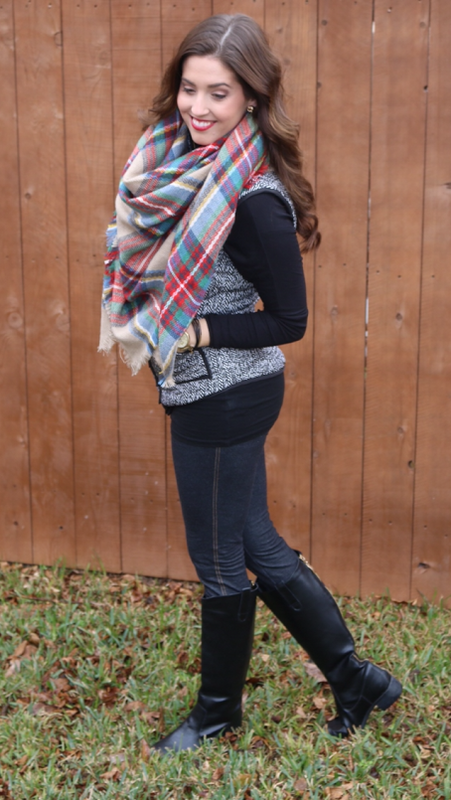 Also, receive 10 percent off with the code: carolanna10 when you shop This SUPER cute vest!